AddOn Hookit - for safely storing. The Rekola Reflex AddOn Hookit is a prime example of Rekola design and problem solving. Any handle, pole or stick, round, square or oval in shape from 10-32mm can be hung to a trolley, door, chair, wall etc. from duster to floor cleaning tools and even the hose of a vacuum cleaner. The adaptable hook can be shaped to the hanging surface or even hung from a nail. The stretchable strap can be wrapped around the shaft of a handle and it will not slide or damage the handle. The Hookit is made of high quality silicone which allows the Hookit to be autoclaved or cleaned in the Deko washer. 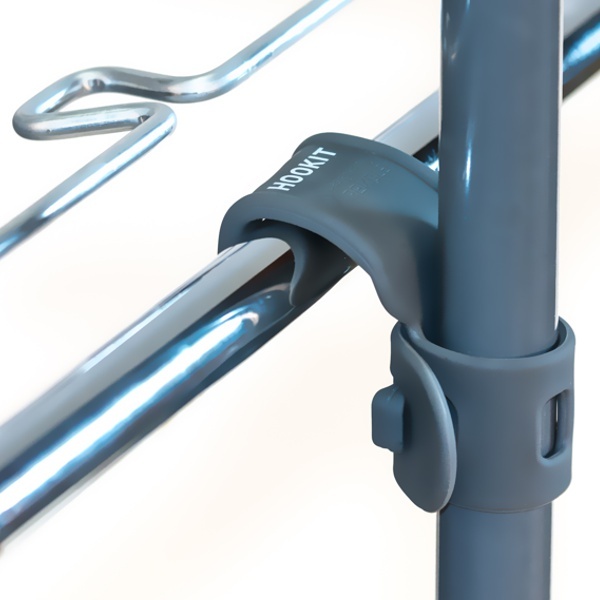 The use of the Hookit is not limited to cleaning tools; it can be used to secure outdoor tools and even to crutches and walking frames.